Since the reintroduction of wolves to Yellowstone National Park in 1995, the park's ecosystem has become a deeply complex and heterogeneous system, aided by a strategy of minimal human intervention. The new study is a synthesis of 40 years of research on large mammals in Yellowstone National Park, conducted by University of Alberta ecologist Mark Boyce. "Yellowstone has benefited from the reintroduction of wolves in ways that we did not anticipate, especially the complexity of biological interactions in the park," explained Boyce, professor in the Department of Biological Sciences and Alberta Conservation Association Chair in Fisheries and Wildlife. "How the vegetation in one valley responded to wolf recovery can be very different than in the next valley." Some of these complex interactions include the increasing influence of bears on the survival of elk calves, the relationships between wolves and hunters, as well as the recovery of willow, cottonwood, and aspen trees in different areas of the park. In addition, bison have replaced elk as the dominant herbivore on Yellowstone's Northern Range, and bison numbers continue to increase. "We would have never seen these responses if the park hadn't followed an ecological-process management paradigm—allowing natural ecological processes to take place with minimal human intervention," said Boyce. However, Boyce explained, using the Yellowstone model in human-dominated systems would have a very different effect, and the top-down influence of wolves and other large carnivores cannot be expected to rescue ecosystems outside national parks or other protected areas. 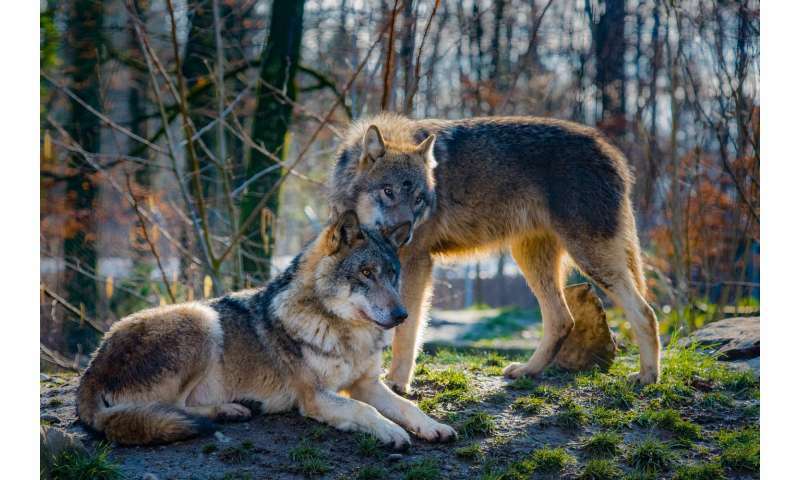 "Human-dominated systems are very different and wolf recovery will not produce the same results because agriculture, livestock and hunting overwhelm the effects caused by large carnivores. We already have viable populations of wolves, bears, and cougars across much of Alberta but their influence varies depending on the extent of human alterations to the system."